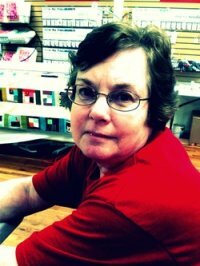 Pam has for years been sewing for her daughter, nieces, and grandchildren. She is quite the seamstress. Pam is very adept at altering patterns to accommodate those hard to find sizes in infant and toddler clothing. Pam is excited at the prospect of sharing her knowledge of smocking and heirloom with our customers. So Moms and Grandmas, if you would like to perfect your sewing skills for the infants, toddlers, and children in your lives, be sure to check the schedule for classes.